players and helping them reach their full potential. 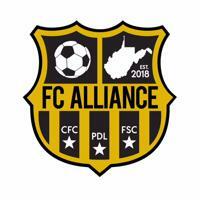 FC Alliance was formed in 2018 by Directors Kernell Borneo and Adam Arthur. The Alliance joins former soccer clubs Fury Soccer Club and Charleston Football. This merger created two branches of FC Alliance the North and the South. North locations include both Morgantown and Wheeling,WV while the South branch is located in Charleston, WV. At FC Alliance, we provide a soccer environment such that every player has the opportunity, through a high level of coaching, to develop and enhance their skills and to evoke a lifelong passion and appreciation for the game. We at FC Alliance emphasize respect, fair play, sportsmanship, and a commitment to develop. Want to participate in your local community? Become a sponsor for Fury Soccer Club and support youth in your area. Thank you Garlow Insurance for being an Official Sponsor of FC Alliance and WV Alliance!